LINTHICUM HEIGHTS, Md. -- Dozens of people were evacuated from a hotel near Baltimore/Washington International Thurgood Marshall Airport Sunday and nine of them were brought to an area hospital after elevated carbon monoxide levels were detected, CBS Baltimore station WJZ-TV reports. 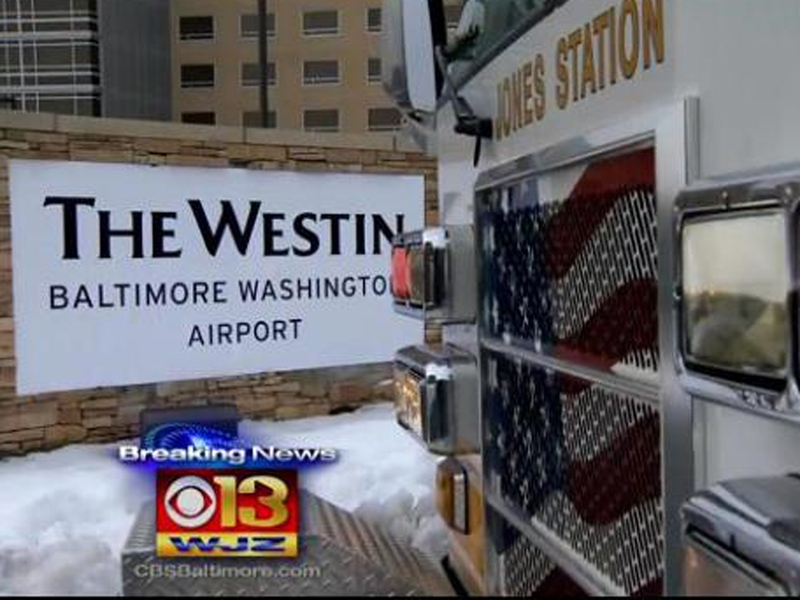 Anne Arundel County fire officials were trying to find the source of the leak at the Westin Baltimore Washington Airport. Four of the nine people taken to the University of Maryland Medical Center were sent to hyperbaric chambers, says WJZ. "The call first came out as a medical emergency for an employee,” a firefighter said. “The staff there suspected that there might be carbon monoxide poison and requested additional resources. And once additional resources came in, we ran the meters and found out there was a high level of carbon monoxide poisoning." Firefighters searched all the rooms at the Westin and evacuated all seven floors. The level of carbon monoxide detected inside the building was deadly, according to WJZ. Carbon monoxide is a colorless, odorless and tasteless gas. Symptoms of carbon monoxide poisoning include “nausea, headache, possible fainting. Of course, unconsciousness is something that we are very concerned of and could be deadly,” a firefighter said. The building was being ventilated as a search for the source continued. Guests were moved to another hotel until fire officials determine the source of the leak. Sixty-four rooms at the hotel were occupied.